We've been pretty bad on Snapchat lately and are about to step it up again. Our new snap code is below. The reason we are updating it because after one of our successful snapchat video write ups we got a lot of Spam accounts following us. Its great SnapChat now gives the ability to create a new snap code. We are thankful that our effort is recognised and we will continue to do our best to provide the best possible service to our old & new customers. Lovin Dublin's "Top 10 Chip Shops in Dublin 2015"
Irish Mirror's "16 chippers in Ireland you must visit before you die"
RSVP's "Five of the best chippers in Dublin"
We love it. What we love most about it is that its not an agency posting updates, its all done in house by staff members and that gives it originality, true insight and personality. Visibility on all all snaps is well over 90% and guaranteed within 24 hours which is amazing compared to other social networks such as Facebook, twitter and Instagram. And its doesn't cost us a penny. And very importantly it doesn't cost us a dime to reach 100% of our audience. Returns on our Facebook posts over the past 6 months have been terrible. The reach on our last 10 posts on our Facebook page has been less than 500 which is extremely poor, some posts only reach 100 people. With nearly 5000 fans we spend a lot of time building up this is extremely disappointing. You may say that the content is poor but i've been posting for numerous years with better interaction on both the macari's Facebook page. Do note that these posts are not boosted with adverts Euro spend but in-reality reach has become less and less over the past year with Facebook. With this in mind we see the importance in moving forward with the latest apps that are used by teenagers or Generation Z as they are called by industry experts. Its also appeared on the Daily Edge website as well as The Irish Mirror. 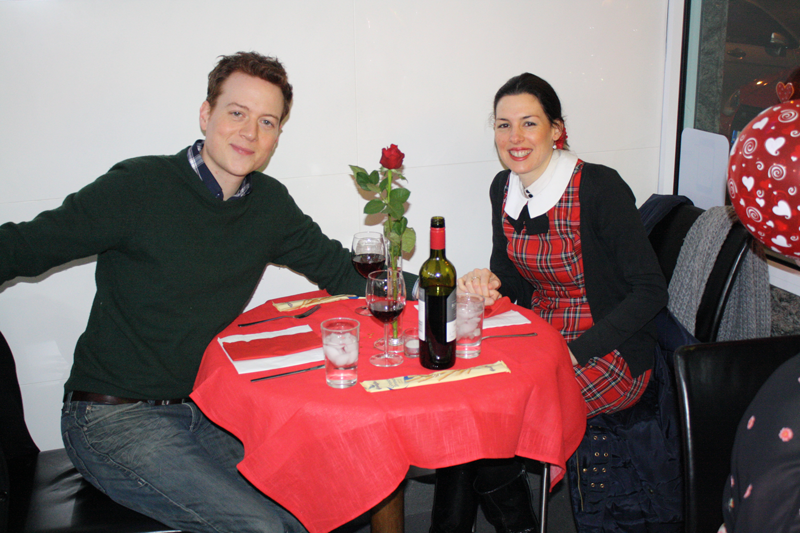 The video now has over 10,000 views and exposure is close to our Valentines Day stunt where we turned our takeaway into a restaurant for the night. Other fun things we have done so far with Snapchat is have a secret menu for our friends, this menu until today was only visible on snapchat. We have a #5before5 deal everyday which i lent from John Downey who runs a great snapchat account for his Cork based Asian street food restaurants Ramen ( SnapChat username ramenlovesyou). Behind the scenes snapchat videos that we have done are "The life of a Potato" & "The Macaris Oreo Milkshake" which can be seen below. More videos can be seen on our youtube channel . Overall we are delighted with Snapchat and look forward to adding stories daily as well as interacting more with our fanbase. Its very exciting. If you've any questions drop me a mail at hello@macaris.ie or follow us on snapchat by adding Macaris1 or pointing your snapchat camera to our snapcode below. Thanks to Snapchat founder Evan Spiegel for not selling out to Facebook!! Our new pulled pork burger has arrived. It comes with red cabbage, mini onions rings and BBQ sauce. The pork is sourced from an Irish company in Dundalk and is extremely tasty. Its available to order instore at 4 St Pappins Road, Glasnevin, by calling us on 018375714 or online at Macaris.ie. 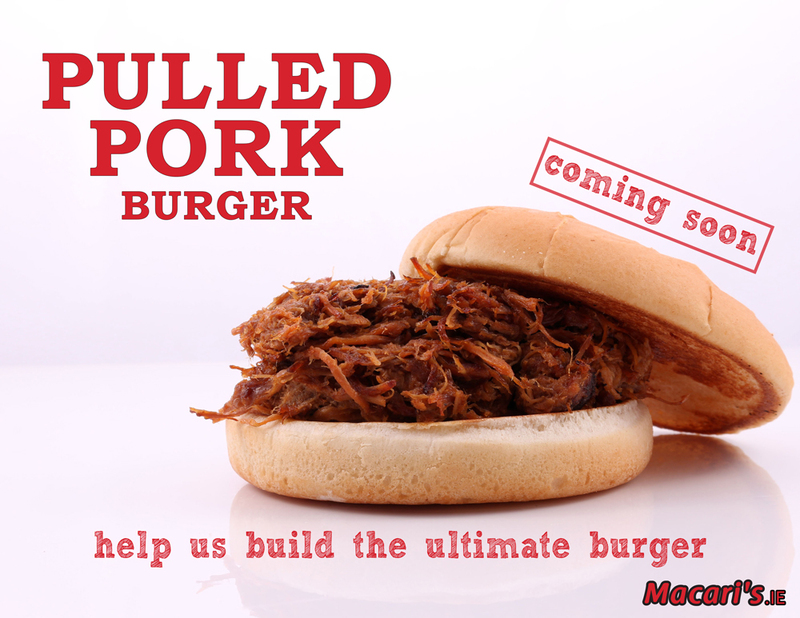 Coming very soon is a pulled pork kebab and wrap, its not on the menu yet but just ask if you'd like one. Also due to launch in the next few days is a Macaris Meat Box, stay tuned. Due to customer feedback we have extended our home delivery schedule. We now deliver from 12pm on Saturdays and from 4pm every other day. Deliveries finish at midnight every night. We hope you find this useful and if you have any other suggestions feel free to get in contact. Have you tried our Milkshakes?? What are you waiting on!? We are a family owned takeaway serving fresh food to the local community for 25 years. What started out as a fun idea turned into a great night. We got tons of emails looking to reserve a table for the night but unfortunately we could not close the whole takeaway and could only cater for 3 couples. The 3 lucky winners we picked were Anna, Lizzie and Robert. 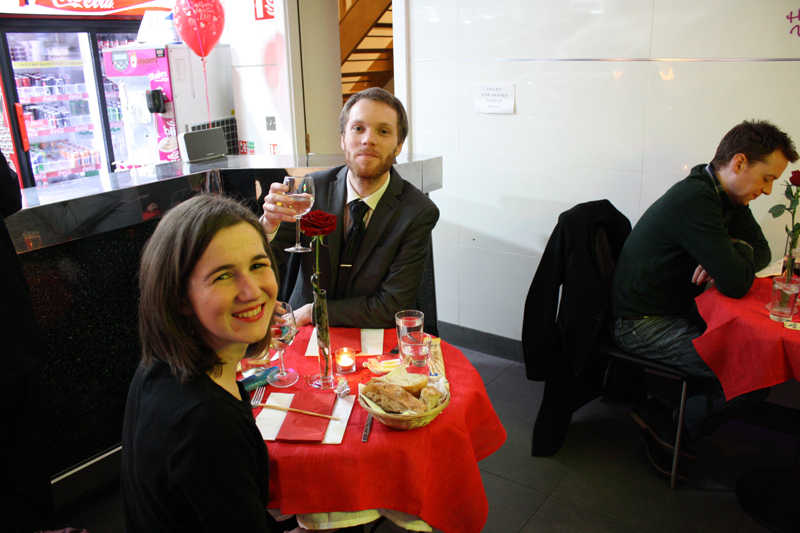 We put a lot of effort into the night and it was great to see our guests enjoy themselves. Fm104's Chris Barry and Crosse rang in for a live chat with with us and our guests. They were plenty of onlookers taking photos from outside and all the customers saw the fun side of it and some looking to book a table for tomorrow night!! The night gave us a good feel of the difference between fast food and a restaurant. Its definitely a tough business to be in. At times there were scenes from a Gordon Ramsey show in the kitchen! Post by Macari's Take Away. Free Chips day is back for DCU Students. On Wednesday 12th February from 12pm - 3pm we will be offering DCU Students Free Chips. Many other items will be priced at €1. Each students is entitled to 1 free portion of chips. With restaurant business on the up you may find it difficult to reserve a table for your loved one this Valentines day in your favourite restaurant. Macaris to the rescue. We are putting together our 25 years of experience of friendly service & fresh food. Mama will be preparing some of her best kept Italian recipes, wines will be from our family vineyard from the hills of Rome and music will be provided by Italian legend Toto Cotugno. Don't miss out on this magical evening. Spaces are limited, email ValentinesDay@macaris.ie for more info. 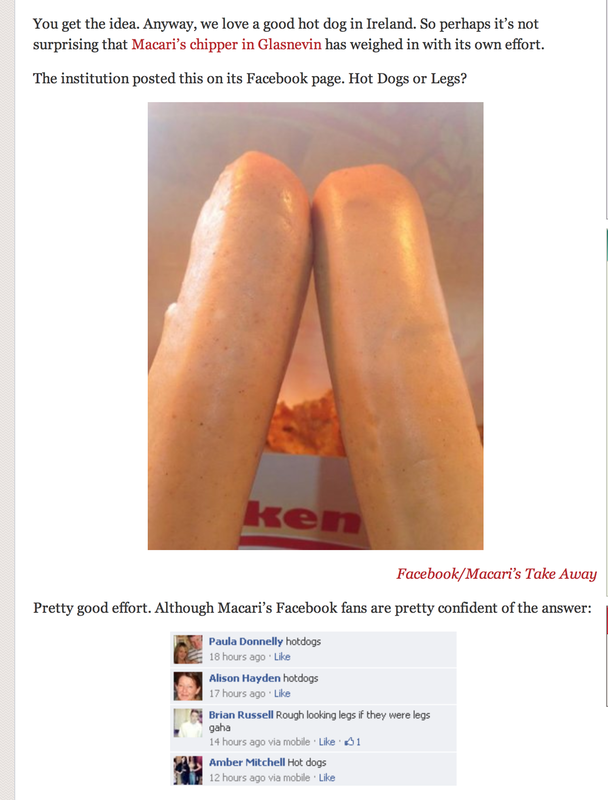 Our Hot-dog or legs photo made it onto The Journal's DailyEdge!! Click here to go to the report. Show us your hot-dog or legs photos!! 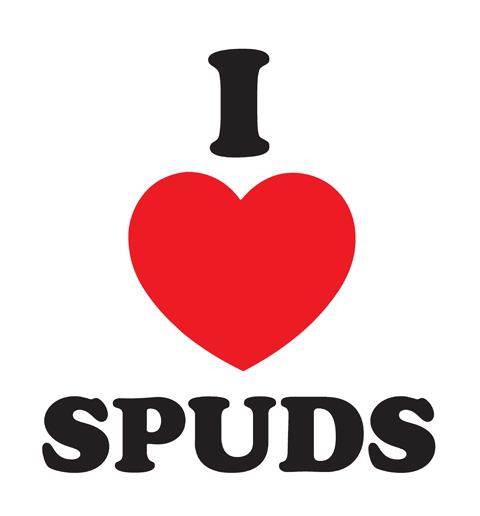 Happy National Potato Day !! We are on the lookout for new delivery drivers.